The old shrine and its rustic environs looked the same when I last visited it in 2007. Pallid walls topped with a fading green dome and a tattered flag, a few trees around it laden more with ribbons than leaves. The ribbons were actually rags, reminders of wishes made. Few women from the nearby villages were gathered around the grave; impoverished, as ever they looked richer in faith. The eldest of them recited a verse of Shah Abdul Latif Bhitai, one of the most revered saints and a Sufi poet buried in another shrine miles away and at that moment beyond her reach. Far from the turbulent North West region bordering Afghanistan, Chand Maurya’s shrine is located in Sindh, the southern province of Pakistan. Standing between the towns of Mirpurkhas and Jhalori, and just a mile away from my ancestral village, it is a spiritual sanctuary to many of its devotees from the nearby villages. In contrast are spectacular and crowded shrines located closer to the cities. At a distance of only one hundred miles from Chand Maurya is the city of Sehwan that houses the shrine of Lal Shahbaz Qalander; near Hyderabad is Bhit Shah that still radiates with the poetry of Latif; in the heart of Lahore is Data Darbar and on the coast of Arabian Sea in Karachi is the shrine of Abdullah Shah, perhaps the first Muslim Saint of the Indian sub-continent. Not too far back in times Pakistan’s landscape, especially the rural landscape of Sindh and Punjab was dotted more with shrines than with mosques. Shrines are the hallmark of mystical Sufi Islam that prevails in most of the non-Arab Muslim World. It has evolved with the flow of history, inheriting many traits of pre-Islamic faiths and acquiring a transnational character. In March 2009 when Taliban bombed the shrine of Abdul Rehman Baba in Peshawar, the government of Afghanistan immediately announced to bear the expenses of the repairs of the shrine. The devotion to saints continues to thrive beyond political boundaries even in these troubled times; a seventeenth century saint and mystic poet, Rehman Baba is revered throughout the Pakhtun land. History of Islam in the Indian sub-continent begins in 711 C.E with the first Arab Muslim conquest of the Indian subcontinent. Invading from the Arabian Seacoast, making Sindh the Gateway of Islam, these early conquerors did not force conversions but received a tax from the non-Muslims in lieu of military service. Even later in times and away from Sindh “The battles of Islam were won not by Muslim iconoclasts but by peaceful missionaries,” admits Khushwant Singh, a non-Muslim writer and historian. These peaceful missionaries had been trickling into Sindh even before its conquest; one of them was Abdullah Shah. 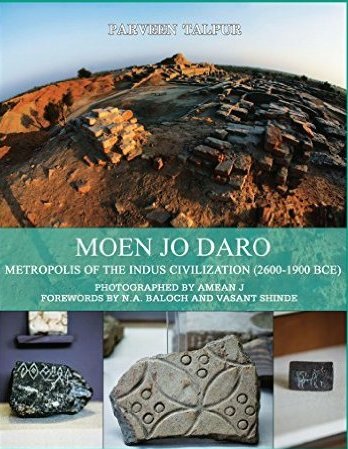 Once when the much-desired land of Sindh was conquered it became a good testing ground for the early preachers to convince the Buddhist, Jain and Hindu population on a mass scale. Before reaching Delhi, for three centuries, Islam had already flourished and co-existed with the prevailing religions. Later with their message of justice and social equality these preachers were to win many converts in the caste divided society of India. With the passage of time they acquired the status of saints and structures came to be built to house their graves; each shrine was built according to the means of their devotees. In the segregated society of Pakistan where mosques, until three decades ago, had remained the premise of male domain, shrines had been spiritual sanctuaries for women since centuries. Shrines represent the esoteric Islam, unlike militant Islam, this is marked with non-violence of Buddhism and Jainism and festivities of Hinduism. Devotional songs and trance dance are a common sight at the shrines. Devotees can be rich and poor, vagabonds and social outcastes, Muslims and Hindus, women and even transvestites. The militant Islamists, however, do not approve this face of Islam and its practices; they had warned the administrators of the Rehman Baba shrine to bar women from visiting it. On the other hand poor economy and deteriorating conditions of the country in general is causing frustration and more and more women and men are calling on their saints. Amongst the crowds are a large number of children being used by their destitute parents for begging. These are the at-risk children most vulnerable to fall in the handsof a Taliban mullah. Worse yet can happen if they are trained for a suicide-bombing mission for the very shrine that feeds them…Ah poverty.